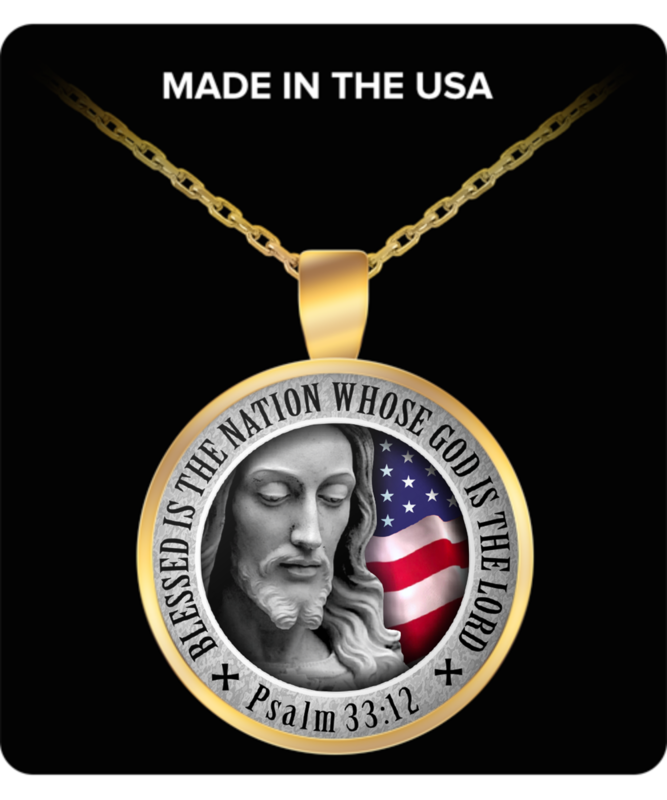 These Limited Edition "Blessed Nation" necklaces you won't find in stores! very unique gift! Love it and am very happy I red red it! Thanks! the necklace arrived in yesterday's mail and i'm VERY happy with it. in fact i'm wearing it now. the chain is just the right length to slip over my head, because due to neuropathy and carpal tunnel in both hands i have difficulty working that tiny clasp. i'm very pleased i ordered it and intend to wear it a lot. Overall, very beautiful piece and worth the price paid. 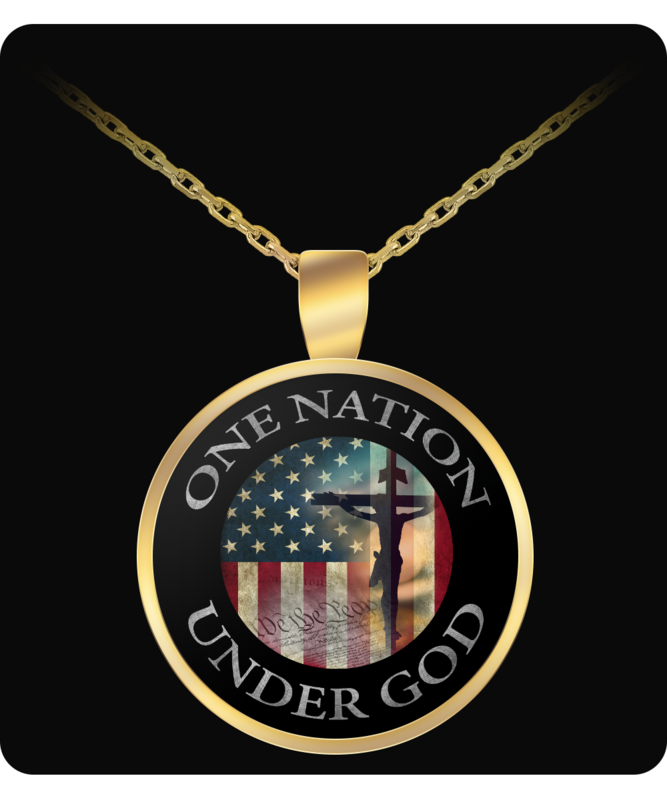 It would have been just a bit nicer if the enamel colored overlay was just the center and the words were engraved into the metal. very nice in fact great. every thing looked as was seen .